Hi everyone - happy weekend! It's time for another Social Pet Saturday post. I hate to start out on a sad note but just wanted to say get well soon to a few blogging friends. First of all, Speedy the Cheeky House Bunny just had surgery to have his eye removed. He's doing well after his surgery it seems and I hope he has a super speedy recovery. Also, our friend Joker got a case of bloat which can be pretty dangerous. He has a great dog mom and was rushed to the doctor but will need some time to recover. Best wishes to Joker and his mom. Brian's human dad also had to go to the doctor for some problems so here's to hoping he feels better soon too. I sure hope I didn't forget anyone, but this card is for all of our friends who are feeling under the weather right now - get well soon! 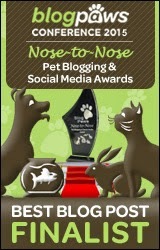 Moving on, there were a lot of great posts on other pet blogs this week that I'd like to share today. If this is your first time to visit on a Saturday, please sit back and enjoy some great reading! And be sure to come back next Saturday for our weekly Social Pet Saturday post. 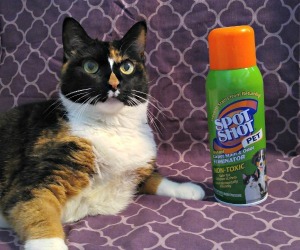 Causes, Signs, and Treatment for Feline Respiratory Distress - I certainly hope no one ever has to go through this with their own cat, but this informative article at Cat Wisdom 101 offers some great advice. It's written by Georgia Barbush (Remy's mom). The Dog Knee For Dummies - Check out this post from My Brown Newfies for a simplified explanation of the dog knee. Black Cat Appreciation Day 2013 - Did you know that today is a day to celebrate black cats? I didn't know until I visited Animal Shelter Volunteer Life and read about it. The Cress Chronicles - Did you know our friend Cress from The Guinea Sisters is secretly a ninja? You can send photos to Cress and she will include you in an adventure from her new feature on her blog. Her first adventure was awesome and featured Molly the Wally. 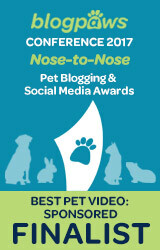 Lastly, I'd like to thank our friend Piranha Banana for awarding us with the Super Sweet Blogger Award! Thank you PB - we appreciate you thinking of us for such a sweet award! I will cross my paws for Joker, this bloat thingy is really dangerous for dogs. I'm glad his mom did the right thing immediately. I hope Brians Dad will feel better soon, but he is in good paw I think. Yes you're right Easy. I hope he has a quick recovery as well. An excellent round up! Sending our purrs to Speedy and to Brian's dad! We don't know Joker, but we're sending purrs to them too. We have our paws crossed for Joker and we too hope Brians' dad makes a speedy recovery and Speedy too. Congratulations on your award. We had a blast over at Cress' Ninja Adventure. Have a super Saturday. I thought it was such an awesome little story! We sure do hope everyone feels all better soon. Thanks for mentioning our Dad, he is doing darn good so far! Woohoo! Glad to hear that! Sending positive thoughts for all the sick animals. Hugs. Cute card. Sending pawsitive thoughts to everyone! Great roundup. I need to catch up on the ones I missed. Thanks for the heads up on Black Cat Appreciation Day. I made sure to put out a photo of our black kitty, Samantha, on my FB page. That stereotyping seems so silly to me, having had both black cats and dogs. Congrats on your award! That was a very nice card, I hope everyone is feeling better soon. Oh I'm gonna have to stop by your FB page and check her out :) Hope she has a special day! Aww thanks for linking to us! :-) We hope everyone gets well soon too. Another interesting round up! Wishing Speedy a speedy recovery and everyone else too! Another great Saturday line up! I hope all those who need the well wishes get better soon. Sending prayers and hugs their way. As for you other shout outs, looks like I have some reading to do! HAve a great weekend! How nice of you to let everyone know about poor Speedy and Joker, and about Brian's Dad. We're definitely purring and praying real hard! Thank you for keeping us informed regarding Speedy and Joker and Brian's dad. I will be keeping them in my thoughts and prayers for a speedy recovery. I wonder if the bloat is similiar to what I had? I am a little bit (just a little bit) of a big eater and at times eat too fast for my own good. My momma took me to the vet and they did bloodwork -- the vet said sometimes a dog that is constantly hungry could be a sign of pacreatitis, so I was tested for it. The vet came back with the results and told Momma I did not have pacreatitis - "He's just a little pig!" that is what my vet called me. A pig! So then when I went to the vet recently I was told I needed to lose a pound or so - HMPH! Doctor recommended splitting my meals throughout the day and giving me food in a special bowl meant to slow down my eating to avoid me bloating. I now eat a little bit slower but not slow enough for Momma who has taken to watching me eat, and pulling away my bowl when I try to inhale my food like a vaccuum. Thanks for the 'thanks' :) - you didn't have to do that - I so enjoy all your informative posts - thank YOU! Aw PB - Shiner and you sound similar in regards to eating hehe. But trust me - you did not have bloat or else you would have to be rushed into surgery. If not, it is fatal. You are lucky in that you are not a high-risk breed for bloat. Deep chested dogs are at most risk - Joker is a German Shepherd I believe. It really is a horrible thing... I'm glad that you are not sick! Sounds like you have a case of the munchies hehe. Sending all of them get well wishes! Great roundup. 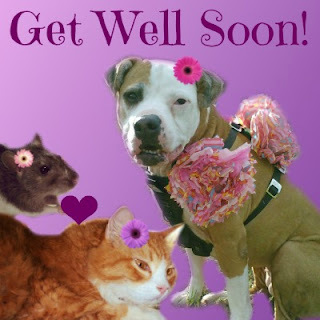 I hope all the the sick pets and their people feel better soon.